May 15 2015:.The wedding images taken at The Jupiter Civic Center in Jupiter, Florida. 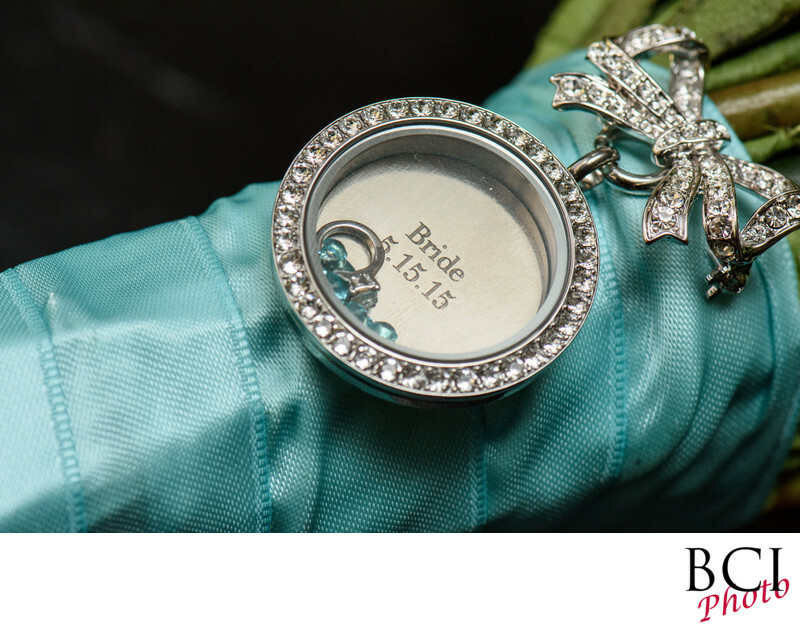 Shows a brides bouquet with her celebratory pin attached to it commemorating her wedding date. Great bridal gift idea. Typically shots like these will be used on the brides wedding album page dedicated to her personalized details.